Jamshedpur: XLRI- Xavier School of Management, one of India’s premier B-School, is all set to hold its 61st Annual Convocation on 25th March, 2017. On this significant day, 606 XLRI students will receive their graduating certificates and medals including – 358 students of Postgraduate Programmes in Management – BM and HRM; 117 students of 15-months PGDM (General Management) Programme; 11 students of Fellow Program in Management (FPM) from Jamshedpur Campus 56 students of 2014–2017 batch of PGDM-BM Programme (Evening); 29 students of 2013 –2016 batch of PGDM-BM Programme (Dubai) and 17 students of 2014 – 2017 batch of PGDM-BM Programme (Dubai). 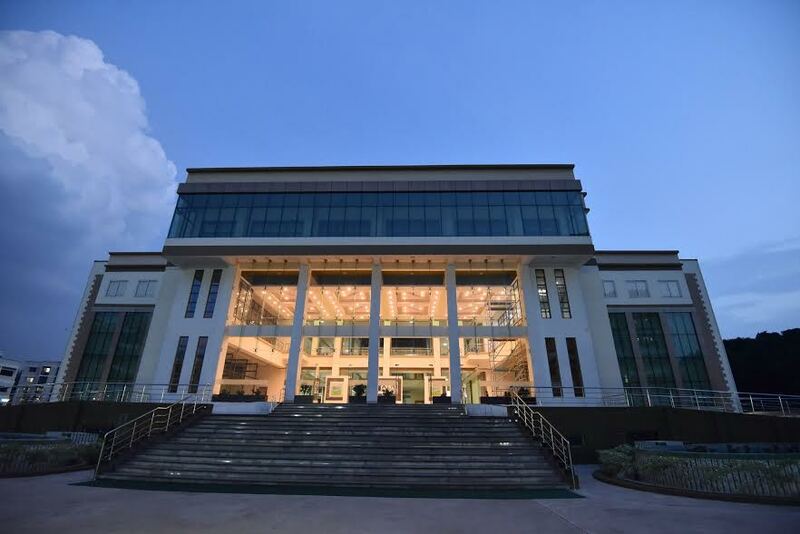 18 Indian students of the third batch (2015- 17) of the Global MBA Programme by XLRI in partnership with Weatherhead School of Management, USA and School of Economics & Management of Tongji University Shanghai, China will receive their graduating certificates. Besides certificate and medal from their home school – XLRI they will also be awarded a joint certification from the 3-schools’ consortium on the occasion. Mr. Adi Godrej has been president of several Indian trade and industrial bodies and educational institutions. He is Chairman of the Board of the Indian School of Business, and past President of the Confederation of Indian Industry. He has been a member of the Dean’s Advisory Council of the MIT Sloan School of Management, Chairman of the Board of Governors of the Narsee Monjee Institute of Management Studies, and a member of the Wharton Asian Executive Board. Mr. Godrej is also a patron of the Himalayan Club. He is the recipient of several awards and recognitions, including the Rajiv Gandhi Award 2002, the American India Foundation (AIF) Leadership in Philanthropy Award 2010, the Entrepreneur of the Year at the Asia Pacific Entrepreneurship Awards 2010, the Best Businessman of the Year for the GQ Men of the Year Awards 2010, Chemexcil’s Lifetime Achievement Award 2010, the AIMA – JRD Tata Corporate Leadership Award 2010, the Bombay Management Association – Management Man of the Year Award 2010-2011, the Qimpro Platinum Standard Award for Business in 2011, the Ernst & Young Entrepreneur of the Year 2012, the Padma Bhushan 2012, the Asian Awards Entrepreneur of the Year 2013, the All India Management Association – Business Leader of the Year 2015 and the Golden Peacock Lifetime Achievement Award for Ethical Leadership 2016. Mr. Godrej holds Bachelor’s and Master’s degrees from the Sloan School of Management at MIT.